Your digital audiobook copy of Retire Inspired will be available as a download link in your order confirmation email after check-out. 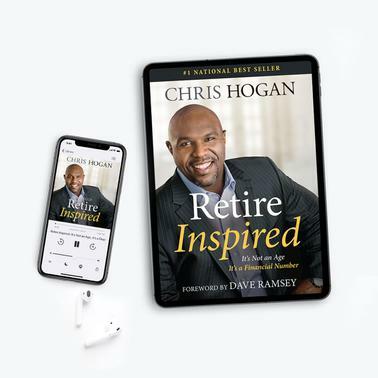 This exclusive bundle includes both the Retire Inspired eBook and the unabridged audiobook, narrated by Chris Hogan for one low price! The audiobook runs 9 hours and 24 minutes and you can choose from three available eBook formats (iPad/iPhone, Kindle, Nook). You don’t have to retire broke, stressed, and working long after you want to. You can retire inspired!